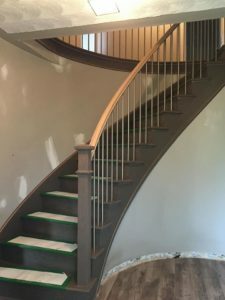 ﻿ Our Stair Builders are Stair Specialists | Scotia Stairs Ltd.
Bedford, Dartmouth, Elmsdale, Enfield, Halifax, Porters Lake, Prospect, Sackville, Spryfield, St. Margaret’s Bay, Tantallon, Timberlea, Truro, Etc. Windsor, Falmouth, Wolfville, Kentville, Coldbrook, Berwick, Kingston, Greenwood, Middleton, Bridgetown, Annapolis Royal, and Digby. Chester, Mahone Bay, Lunenburg, Bridgewater, Liverpool, Shelburne, and Yarmouth. 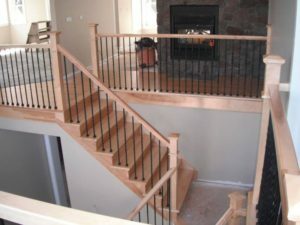 Scotia Stairs Limited is a true leader in the art of stair building in Nova Scotia. 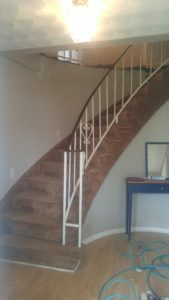 As a result, we are installing 200+ staircases every year! Our experienced team has over 100+ years of combined experience and our service areas cover almost the entire province of Nova Scotia. While this may be a challenge for our competition, we view it as a testament from all the happy and satisfied clients we serve. We only have stair builders that care about your job like it is their very own. We wouldn’t have it any other way! 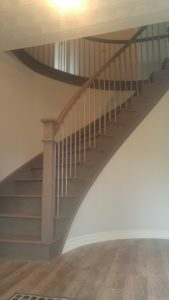 To supply, finish & install our hardwood staircases & railings in Nova Scotia at great prices for all consumers! Like to see more of our work?